This July, we will be hosting two Ikebana workshops run by Setsuko Yanagisawa from Yuga Flora during the exhibition Made/Arranged. The exhibition explores the way in which Minimalism and the Zen aesthetic share both conceptual and artistic values that are clearly translated into the art form of Ikebana. Made/Arranged explores the aesthetic and conceptual parallels between Minimalism and Zen philosophy, in relation to artistic production and invites the artists to consider the art form of Ikebana as the embodiment of both the Minimalist and Zen aesthetic. 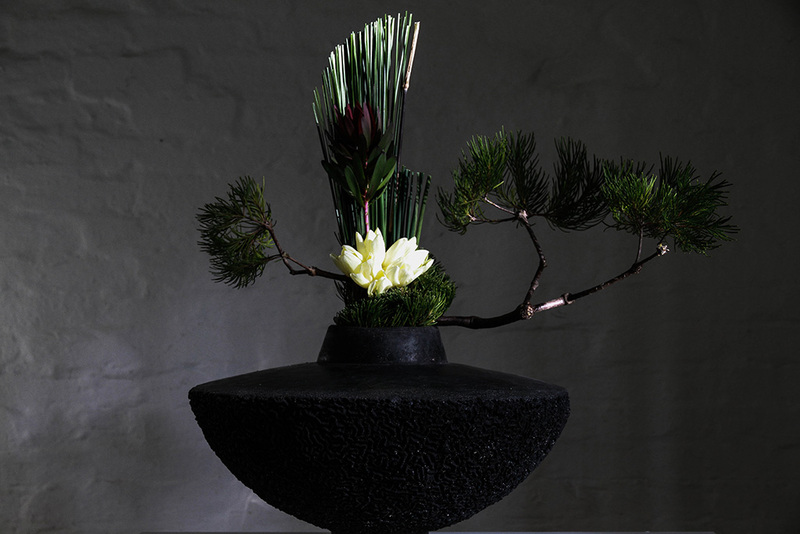 Setsuko’s craft is dedicated to the values of harmony and perfection associated with nature, each creation expresses a contemporary marriage between the exquisitely refined traditions of Japanese floral art and the vibrant textures and colours of Australia. Her creations are a synthesis of East and West, Man and Nature, they have graced events ranging from the Art Gallery of NSW, Akira Isogawa, Wolverine, Qantas Chairman and first class lounges. Setsuko will demonstrate the art of Ikebana creation and participants will spend the duration of the workshop creating their own arrangement within the Zen setting of beautiful artwork. At the end of the workshop, participants will take home their own Ikebana creation in a unique handmade vessel by one of the MADE/ARRANGED artists – Luke Mansini or Louisa Hart. WHEN: Sunday 10th July or Sunday 17th July 2016, from 10.30am – 12.30pm. Limited tickets available through Eventbrite. Purchase Tickets here for Sunday 10th July or Sunday 17th July. A unique handmade Ikebana vessel by Luke Mansini, flowers and plant materials will be provided. Complimentary cup of coffee or tea made by one of the gallery’s expert baristas on arrival.